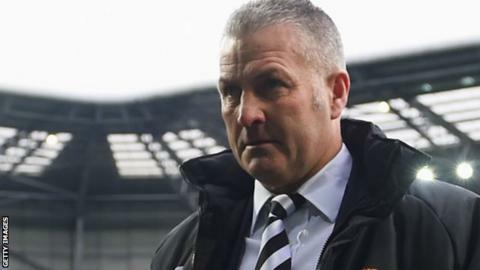 Manager Gary Mills wants "confident" Wrexham to display "bravery" at Kidderminster Harriers in the National League on Tuesday. Wrexham have scored six goals and conceded one in two games since an opening day defeat at Bromley. Those goals have come in home wins over Torquay and Aldershot. "The players are full of confidence after the last two performances and we've got to go and show that confidence with bravery," said Mills. "I keep using the word bravery because it's brave the way that we do against teams who, generally in this league, try to be direct." Mills also promised Wrexham's approach will not change as they seek to build on a start to the season that sees them lying sixth in the table.